This image provides an explanation to clear any confusion about babies who sleep on their backs vs. their tummies and the risk of choking or aspiration. Studies show that babies may actually clear secretions better when placed on their backs. Figures 3 and 4 show the orientation of the trachea to the esophagus in the back sleeping (figure 3) and in stomach sleeping (figure 4) positions. 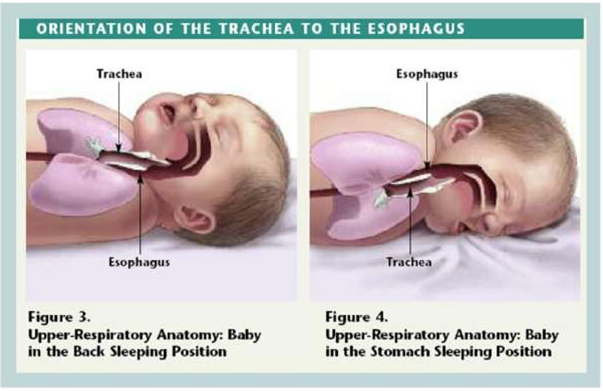 When a baby is in the back sleeping position the trachea lies on top of the esophagus. 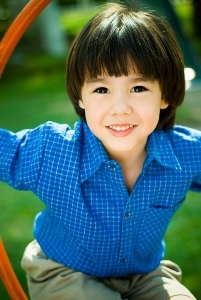 Anything regurgitated or refluxed from the esophagus must work against gravity to be aspirated into the trachea. Conversely, when a baby is in the stomach sleeping position, anything regurgitated or refluxed will pool at the opening of the trachea, making it easier for the baby to aspirate. 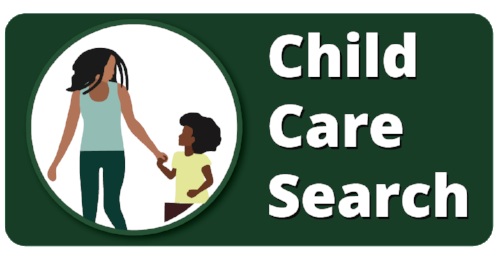 For more information on safe sleep and reducing the risk of SIDS contact 4C's Infant Toddler Specialist at info@child-care.org or 866-200-5909. or register for a Safe Sleep workshop by clicking on the training calendar above.